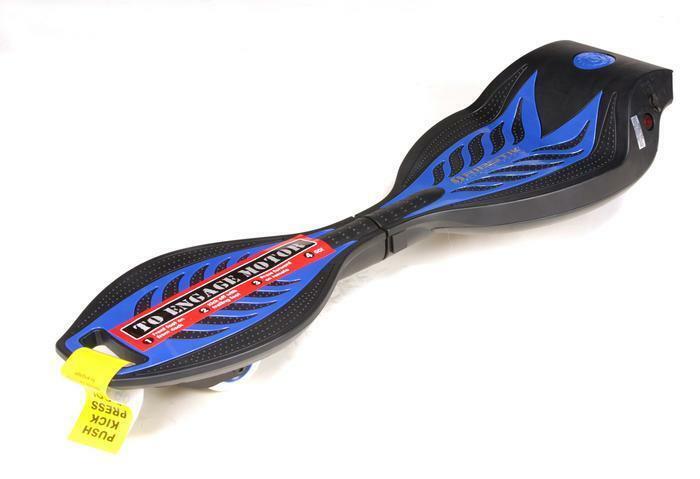 Razor USA of Cerritos, Calif., is recalling about 158,000 RipStik electric motorized caster boards. The rear wheel can stop rotating while in use and lock up, posing a fall hazard. The company has received more than 700 reports of the rear wheel locking up, resulting in four injuries, including one loose tooth and three scrapes and bruises. This recall involves Razor RipStik electric motorized caster boards with two wheels, a hub motor and a lithium ion battery. They have a wireless digital hand remote that controls the speed up to 10 mph. The manufacturing date is on the bar code label located on the bottom of the product and Razor USA LLC is embossed on the bottom. “RipStik” is printed on the top of the board. They are blue and black in color. The boards, manufactured in China, were sold at Target, Toys R Us, Walmart, and other stores nationwide and online at Amazon.com, Razor.com, Target.com, toysrus.com and Walmart.com and other websites from February 2016, through April 2017, for about $180. Consumers may contact Razor toll-free at 866-467-2967 from 8 a.m. to 5 p.m. (PT) Monday through Friday or online at www.Razor.com and click on “CPSC Safety Recalls” for more information.